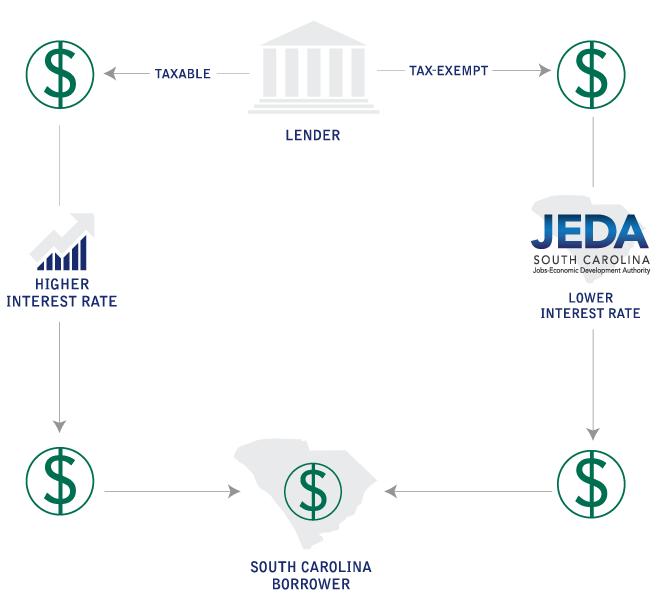 JEDA acts as a “conduit” issuer of bonds on behalf of a borrowing entity. Under the Internal Revenue Code, certain for-profit entities and Section 501(c)(3) organizations can finance their projects with tax-exempt bonds, but these entities cannot do so directly. They must borrow through a “conduit” issuer of bonds in order to receive the tax-exempt financing. Therefore, entities do not borrow from JEDA, but rather through JEDA, using JEDA as access to the capital markets at tax-exempt rates. Bonds issued by JEDA are payable solely by the underlying borrower from the funds and assets pledged for each individual bond issue. JEDA does not enhance the credit of the underlying borrower. 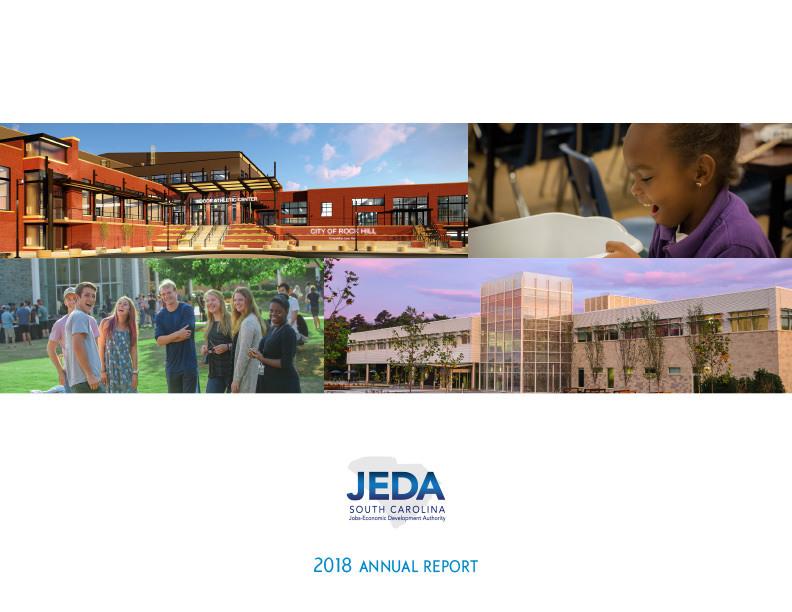 JEDA funds are not at risk in connection with a financing and no funds of the State of South Carolina or any political subdivision thereof are at risk. Each JEDA bond contains language to that effect. The marketplace determines if a bond is marketable, not JEDA. 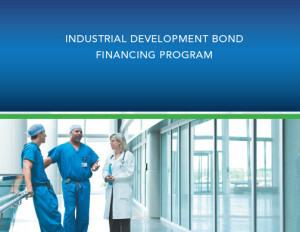 JEDA and its counsel analyze each project’s eligibility for tax-exempt bond financing, as specified by Federal law. JEDA does not assume the responsibility of determining the creditworthiness of a project or borrower, nor does it assume the resulting legal liability from making such a determination.